Following the dissolution of the Ranikor Block Congress Committee (RBCC) recently, the Meghalaya Pradesh Congress Committee has constituted an ad hoc committee and appointed a convener along with five members. The MPCC has also appointed Phrinly Wanniang as an ad hoc president of the District Congress Committee, South West Khasi Hills, Mawkyrwat. While Prosperous K Nongmin was appointed as the convener of the RBCC, the members include Khranglin Lyngkhoi, JC Diengngan, Mabadon Nonglyer, Leenga A Sangma, and Haripodo Hajong. The convener, along with the members was directed to organize all the primary units under the RBCC at the earliest and to report to the MPCC to facilitate early formation of an executive committee of the BCC. On June 12, Chief Minister, Conrad K Sangma visited Ranikor constituency and assured the people that the Ranikor Administrative Unit would be upgraded to a Civil Sub Division soon. Deputy Chief Minister Prestone Tynsong, and other ministers and MLAs also visited the area. During the public meeting at Ranikor, Congress leaders and workers from all the 65 primary units of the Ranikor Block Congress Committee resigned and joined the NPP in the presence of NPP state president, Dr W R Kharlukhi and other NPP leaders. The Congress flag was also removed while the NPP flag was put up at the function which marked the dissolution of the Ranikor Block Congress Committee. Senior Congress MLA and former PWD (roads) minister, Martin M Danggo had also indicated his move to leave the Congress and join the NPP on the day of the inauguration of the Civil Sub Division. 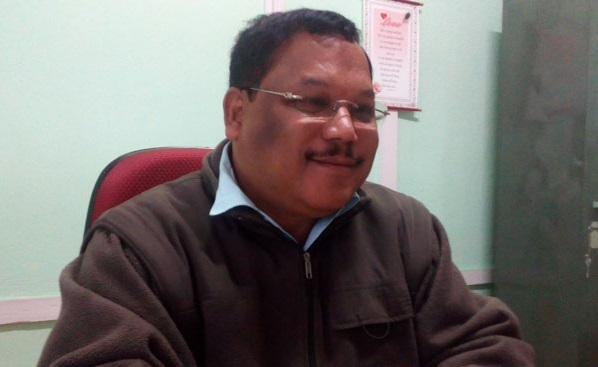 Earlier Congress MLA and spokesperson of the Congress Legislature Party, Zenith Sangma had slammed Danggo over the demand to make Ranikor a Civil Sub Division saying the Ranikor MLA had only demanded for an administrative unit at Ranikor from the previous Congress-led government. The NPP which is leading the MDA government has 20 MLAs while the Congress is the single largest party with 21 MLAs including Danggo in the 60-member Assembly.